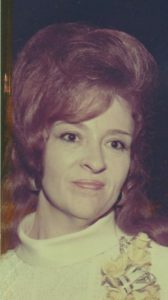 Brodhead – Shirley Ann Calvin, age 82, of Decatur Township, passed away on Thursday, August 17, 2017, at her home, surrounded by her family. She was born on November 4, 1934 in Rock County, WI, the daughter of William and Elsie (Natz) Nightengale. She married Ernest L. Calvin on August 26, 1954 in Janesville, WI. He passed away on October 15, 2014. Shirley had worked as a department manager at Parker Pen/Bell Aircraft, of Janesville, WI. She enjoyed gardening, boating, and digging stones in North Carolina with her husband. Per Shirley’s request, there will be no funeral services.